Internship in Shanghai – Is it worth it? Shanghai is a city that defies logic. The numbers, whether it be regarding population or size, are mind boggling and are barely matched elsewhere in the world. To be precise, only Tokyo and Delhi boast larger populations. Shanghai even eclipses the Chinese capital of Beijing, something many overlook. So with such a large population, comes large competition, right? Well yes, but the power of having an Internship on your CV is strong and can be the difference between nailing that dream job, and not. 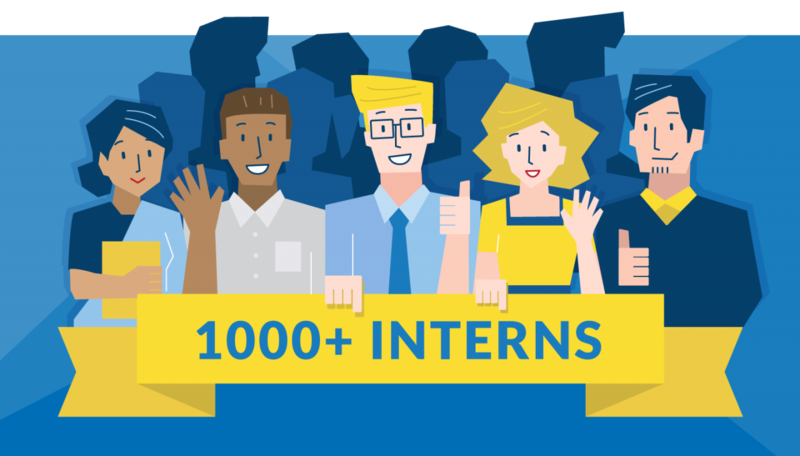 The experience of working in your given industry, the experience of living in a different city and the new contacts are just three reasons why an Internship is a great idea. However, is Shanghai the place for you given it’s huge size in terms of people and square kilometers? Let’s give you a rundown of some reasons why we think it absolutely is. There goes a famous saying in English – “It’s not what you know, it’s who you know” and I am a huge believer in this as my 20’s have taught me. Having strong and powerful connections in all walks of life is something so powerful that it’s easy to overlook, don’t. Shanghai will give you more opportunities than pretty much any city you could visit. There are expats absolutely everywhere and if you really want, you can build a great network of contacts within days. Someone always knows someone in Shanghai and with the usage of WeChat you’ll be connected in minutes. Whether you want to build a set of friends, or contacts for a future job, it doesn’t matter, the same applies. There is an event you may, or may not be familiar with. This event is called Internations and it’s something that, we at LTL, strongly support. 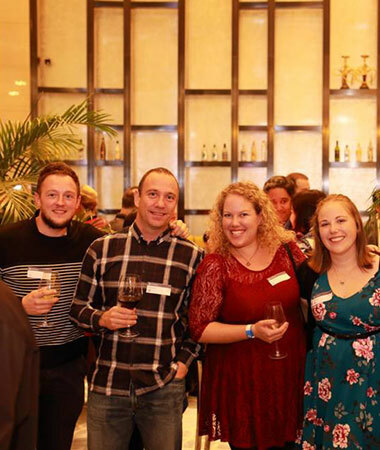 Internations host a number of events where expats (and locals also) can go to meet each other, have a drink and chat with each other. It’s such a simple and effective way to build contacts. You have no idea who you could meet but there is every chance someone there has something you want, or if not, they know someone who does. At Internations, when you arrive, you will pay the fee (less if you sign up as an “Albatross Member” before hand), receive a free drinks token and a name tag. The name tag has your name and nationality so you don’t forget, because it’s easy to do so when you are meeting so many new people. TIP – Sign up on the Internations Website before attending. Let’s call a spade a spade here… It’s not cheap, but compared to other worldwide giants, it is. China offers fantastic options when it comes to cost of living. The diversity of Shanghai means, if you want to live the lavish 5 star lifestyle, you absolutely can. However, if you are on a budget, you can still get by comfortably enough with local food and drink. Let’s say you want to Intern in Hong Kong. You are going to struggle to get by cheaply here. Bars are not cheap and even the cheaper eateries still set you back much more. Public transport like taxi’s and the Metro is also much more expensive than in Shanghai. Money drains quickly. Likewise in New York, London and Sydney. Of course these are just examples but you get the picture. Shanghai, and China on the whole actually, has the ability to be much kinder on your bank balance. There is a great website called Numbeo which allows you to compare the cost of living in cities around the world. Let’s take some examples and show you the proof. This is an incredibly eye opening graphic that shows, not just how cheap Shanghai can be, but how expensive Hong Kong can be. The real extract to take from this is that you’d need to earn 37,298CNY in Hong Kong to live the same standard of living in Shanghai on just 23,000CNY, almost double. Consumer prices and rent are the two huge factors and, unfortunately, these are important things! Therefore you can see how an Internship in Shanghai can save you a whole stack of cash. Going further afield back to Europe with the ever popular city of London. Both cities are huge in their own right but how does the cost of living compare if you wanted to take an Internship in either of the two cities? As you can see once again, Shanghai comes up trumps by a fair distance. Most noticeably if you want to go out for food, you’ll be shelling out almost 60% more on average to eat in London. You’d need to earn another 2,000GBP per month roughly to live a par lifestyle. That’s a lot of money every month! TIP – If you wish to compare your own home town, or other cities you are considering moving to, get over to Numbeo and start comparing cities. Three reasons for the price of one but they all have one common denominator, and that’s the country, China. It really is like nowhere else on the planet. Food in Shanghai is a delight, as it is throughout China. You can learn Mandarin, Cantonese or even Shanghainese whilst living in Shanghai and discover a truly unique culture. Luckily for you we boast our very own Chinese Language School in Shanghai and our students love it. We teach Mandarin to foreigners coming to China, or who are already based in Shanghai. Our Internship Program in Shanghai means you can sign up for an Internship in Shanghai and learn Chinese simultaneously. You could even pick up some of the basic survival phrases before you arrive in Shanghai through online classes. We are also offering courses in the local dialect of Shanghainese which is a further challenge if you are willing to take it on. There’s something unique for your CV right there! One of the big draws of coming to China is the food. Shanghai boasts an incredible mixture of flavours to tickle the taste buds. 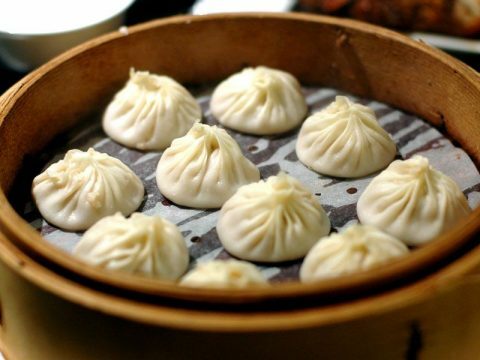 Xiaolongbao (小笼包) is one of the more iconic treats you’ll be lucky enough to enjoy and what’s more, you can get them incredibly cheap at a number of local restaurants in Shanghai. The Xiaolongbao are delightful little pockets of flavour and can come with a filling of your choice, generally packed with meat and vegetables of many varieties. There’s a lot more to Shanghai cuisine than Xiaolongbao though! Red-braised pork (红烧肉) which is known in Shanghai as Hongshao, is another must try whilst living in Shanghai. Likewise is Crayfish (小龙虾), but truth be told, we could dedicate a whole different blog post to food in Shanghai so for now we’ll leave it there. It’s worth the Internship for this alone! We’ve said it time and time again but China boasts such a unique culture. When you squish that together with a host of expat nationalities around the world it makes for a truly fascinating setting. Shanghai boasts a bigger expat community than any other Chinese city so whilst getting to know many foreigners whilst you intern in China, you’ll also delve into China’s epic history. Things that’ll be new will perhaps be the public behaviour of the locals, the idea of “face” in China and the strong sense of patriotism during public holidays (not to mention the mass migration for Golden Week and Chinese New Year)! So when can I start my Internship in Shanghai? Hopefully by now, we’ve helped convince you Shanghai is a truly epic place to come, not just to visit but to study, work and live! Take a look at our Internship in Shanghai page to get an idea of some of the jobs and industries. You can also contact us using the live chat feature below, or our contact page to get more details.